Check here for ongoing studies and opportunities to get involved in research! Hi Kaitlyn. I was part of the Kripalu retreat for newly diagnosed Parkinson’s persons and Caretakers. I am interested in participating your research study on caretakers. Hi Mara, great to hear from you and THANKS for offering to participate. I send you a Facebook message (because I don’t have your email address! 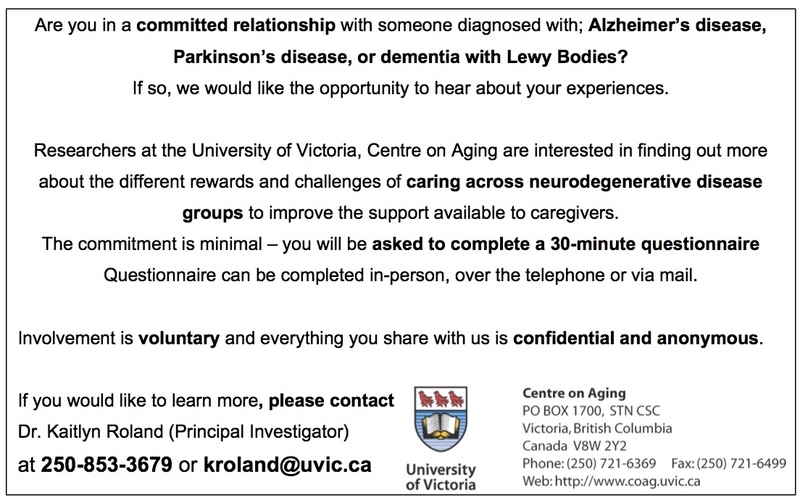 ); you can email me directly at kroland@uvic.ca and I can let you know the details/process. THANKS again!